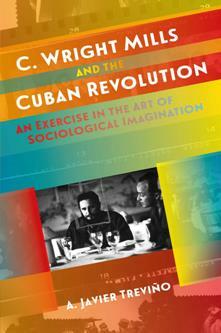 In C. Wright Mills and the Cuban Revolution, A. Javier Trevino reconsiders the opinions, perspectives, and insights of the Cubans that Mills interviewed during his visit to the island in 1960. On returning to the United States, the esteemed and controversial sociologist wrote a small paperback on much of what he had heard and seen, which he published as Listen, Yankee: The Revolution in Cuba. Those interviews-now transcribed and translated-are interwoven here with extensive annotations to explain and contextualize their content. Readers will be able to 'hear' Mills as an expert interviewer and ascertain how he used what he learned from his informants. Trevino also recounts the experiences of four central figures whose lives became inextricably intertwined during that fateful summer of 1960: C. Wright Mills, Fidel Castro, Juan Arcocha, and Jean-Paul Sartre. The singular event that compelled their biographies to intersect at a decisive moment in the history of Cold War geopolitics-with its attendant animosities and intrigues-was the Cuban Revolution.